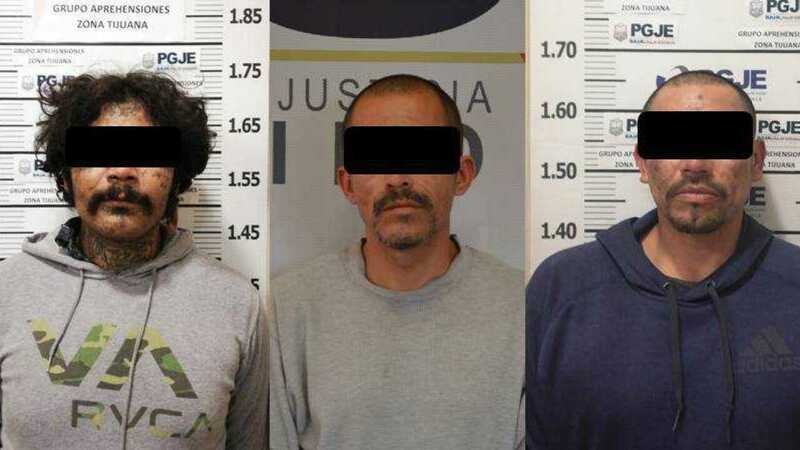 SAN DIEGO CA — Three Mexican men were arrested in Tijuana Mexico for the murder of three teens and two were from the San Diego. area. There will be no bail bonds San Diego for them because they are facing murder charges. They will be transfered to the San Diego Jail. In late November, 2018, 17-year-old Christopher Gomez and 18-year-old Juan Ojeda were found shot to death in Tijuana on November 25. Both innocent teenagers attended the O’Farrell Charter School in Encanto CA. It was unknown why they were in Mexico. Another teen believed to be on of Ojeda’s friend was also killed. Katheryn Garcia, who was Gomez’s cousin said, they were likely tortured in different locations before being killed execution-style in front of a public housing complex. According to recent reports, murders in Tijuana hit a record number in 2018 at more than 2,000. This is why Christian Bail Bonds will not post a bail bond for these worthless Mexicans. A San Diego jail bail bond is for criminals who have remorse and will show up for all their court hearings. A 25-year-old Adam Daniel Barooshian, a Camp Pendleton Marine was driving drunk in a Lexus on the two-lane 76, when he struck Christopher Williams of Oceanside who was riding a motorcycle head on early in the morning. Unfortunately, the motorcyclist died at the scene. The Marine had minor scratches and was arrested after the CHP determined from field sobriety tests that he was under the influence and too drunk to drive. His San Diego Jail Bail Bond was set at $100,000 and he will most likely be charged with murder. If he doesn’t post a bail bond at the San Diego Jail he’ll have his arraignment on January 3rd at 1:30 pm at the San Diego Superior Court downtown. Because the DUI happened and a motorcyclist was killed and not injured, he’s looking at anywhere from 10- 20 years in state prison. Christian Bail Bonds believes no one should get behind the wheel and drive. There has also been a claim that Adam Barooshian had a previous DUI conviction in 2018. Apparently the no tolerance rules by the USMC wasn’t applied. Call Uber or Lyft. With all the penalties and lives being lost. If you or a family member may be experiencing legal or arrest situations that are unnerving and overwhelming, then Christian Bail Bonds is for you. When you combine the bible and bail bonds you will help yourself spiritually and deepen your faith. Chances are you are living with a family member who is always in trouble with the Orange County Sheriff or the San Diego Police Department or some other friend who is always getting booked into the local jail for drugs, robbery or theft. Maybe you have made some regretful decisions and are going through the criminal justice system now and they put out a San Diego warrant for your arrest. Whatever the circumstances, you can be assured of some fundamental truths about how God and bail bonds will get you or your loved-one through the criminal process. Without any doubt, you can stand on the unshakable truth that the God of the Christian bible loves you. God is a God of love and grace and the caring love that he gives is unconditional. Even if you have been arrested several times, or have served years and years in the California Department of Corrections, you are never beyond the reach of God’s love. Your situation may be difficult and uncertain. You might be looking at serious jail time in the local jail or the state prison. Not to worry. God and bail bonds will not leave you hanging. You can walk in the assurance that the God of the bible’s love for you has not wavered and hasn’t diminished. He doesn’t love you less because you have committed several crimes like domestic violence or murder in the first degree. His love is immeasurable and unending and his love is not based on our behavior but on His character. There is not a place in the San Diego Jail or the Santa Ana intake and release center you can go to escape the God’s love. This is why the bible is one of the most read books in the criminal justice system. It gives peace and knowledge to those defendants while they’re awaiting trial or if they’ve already been sentenced. No matter where you’re at spiritually in the bail bonds process, God is there waiting for you to turn to him. He promises His presence when skies are blue and when storms rumble through your life. Maybe you are in the middle of a storm right now. If you are, please know that you can turn to the God of the bible because He has promised His presence to everyone unconditionally. You are not alone. You are never by yourself. You can find strength for the journey and peace in the upheaval by turning to God and Jesus who promises to walk with you through it all. Feeling alone while in an empty jail cell? Hear this truth, you are not alone. God will never leave you alone. Turn to Him and you will find Him. One of the awesome habits of God is that He takes criminals whom everyone else has given up on and reshapes them while they are incarcerated. Regardless of the legal problems that you have come in to, God has not given up on you. God and Bail Bonds go together like a glove fits a hand. Many of those arrested and stuck in the county jail think society has given up on them. However, you are wrong. He knows how to work in your life while going through the bail bond and arrest process. He has the power and strength to get you back to where He wants you to be spiritually so that you can become everything He has created you to be. It’s difficult for many defendants but you must let Him do the hard work inside of you. Be very willing to turn your life and attention over to him. God hasn’t given up on you. Maybe the judge or the District Attorneys office has. However, don’t give up on yourself and don’t give up on miracles he can do in you. God and the Bible will always bring you back too where he want you to be. You are not too far gone no matter how many times you have been arrested. You may have a journey to go through and can’t see the end of the road, but you can always come back to God at any time. All it takes is making a step back to Him and read and pray though the bible to reach him. Just remember, wherever you find yourself in the criminal justice system, it’s never too late to come back to the Lord. Christian Bail Bonds helps faith-based families and defendants through the arrest process. They help you through the booking and release process at any jail in San Diego, Orange County and Riverside County jails. They help Christian families through the legal process and the criminal justice system. We can even refer them to Celebrate Recovery. They are domestic violence specialist and will take time to pray and get you in touch with God and Bail Bonds. San Diego Jail and Christian Bail Bonds is the Best bail bonds in San Diego. Out of all the bail bondsman and bail agents near the San Diego Jail, we are the quickest, most honest and will usually drive the defendant home form the jail. All Jails in San Diego County. #2 The San Diego Jail is Very Dangerous. The San Diego jail is filled with drug addicts who are always arrested and they never learn their lessons. Many of them are poor and unbathed coming down off their latest high of heroin, meth or cocaine. Eighty percent of the women’s jail in Santee California is made up of repeat drug addicts. The San Diego jail is not a place to make new friends but it’s a place where you should post your bail bond right away. Defendants housed in the San Diego Jail and Vista Jail should use Christian bail bonds right away. #3 To Get Back to your Job and Family. Once someone is arrested and taken to the San Diego or the Vista jail, the turnaround time is 12 – 16 hours if they post bail. That’s a long time to be away from your family and most people need to get back to their job. The advantage of bailing out with Christian Bail Bonds is that you can get back to your family and job right away. Also, we will help you spiritually through the process and teach you also how the arraignment works in the San Diego Superior Court.